The m.a.x. 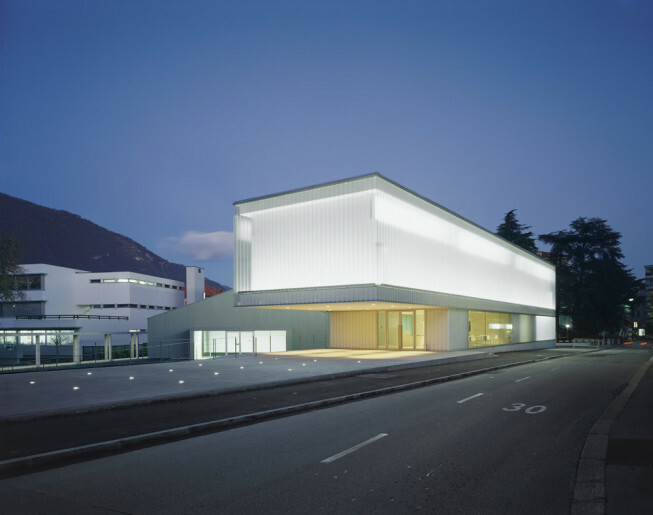 museo, inaugurated on 12 November 2005 on the initiative of the Max Huber-Kono Foundation of Chiasso, has been a public institution of the Municipality of Chiasso since 2010. The m.a.x. museo’s mission is to disseminate a knowledge of graphics, design , photography and contemporary visual communication. The term “graphic design” refers to the field of artistic production devoted to the design and creation of visual communication products, in particular graphic design and graphic art (or historical graphic design). The m.a.x. museo’s aspiration is to build a bridge between the past and the new generations of graphic artists and designers. The museum is close to the Cinema Teatro and Spazio Officina, a position enabling it to create close ties between the principal cultural facilities in this border town. 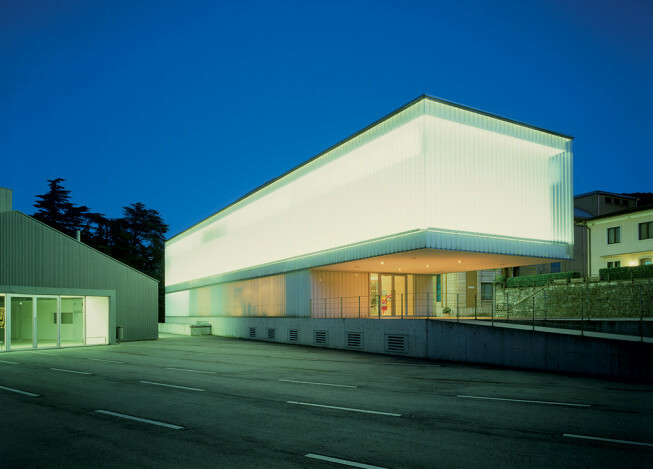 At the same time it constitutes a new and important Chiasso Cultural Centre with exhibitions and theatrical events that are international in outlook and scope. The programming of events at the Spazio Officina concerns more generally the arts and contemporary culture, which aim at experimentation and work in progress. These are, in all cases, closely related to the activities of the m.a.x. museo. Built to a project by the architects Pia Durisch and Aldo Nolli, the m.a.x. museo is notable for its spacious, bright, neutral and simple spaces, so ensuring the contents have maximum visibility. The architects designed it by studying Max Huber’s graphic designs and his work, finding an affinity between their way of approaching architecture and his working method. The facade of the m.a.x. museo is a huge translucent showcase. At night the cavity of the façade is illuminated, making the contents visible and lighting up the city like a lantern.